What an amazing trend going on in Pakistan. It’s rare (and even frowned upon) for a truck to rumble down the highway without being dressed up. 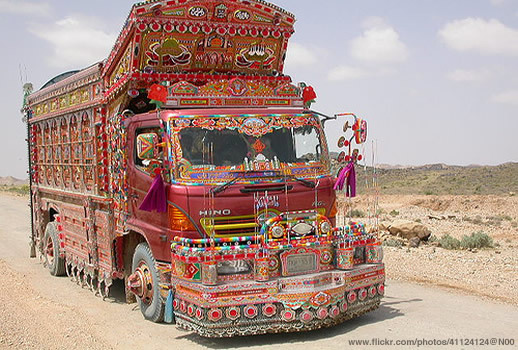 Check out the video that the BBC did on Pakistan’s truck art. navidia g force,4gb ram,keyboard,mouse or joystick,high resolution vga card,audio system and dvd rom. launch within 12 , on this yr with regard to English and Japanese viewers. miss out on any important guest.